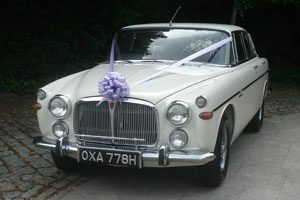 Arrive in style in one of our chauffeur driven Classic Cars which are owned and immaculately maintained by enthusiasts. 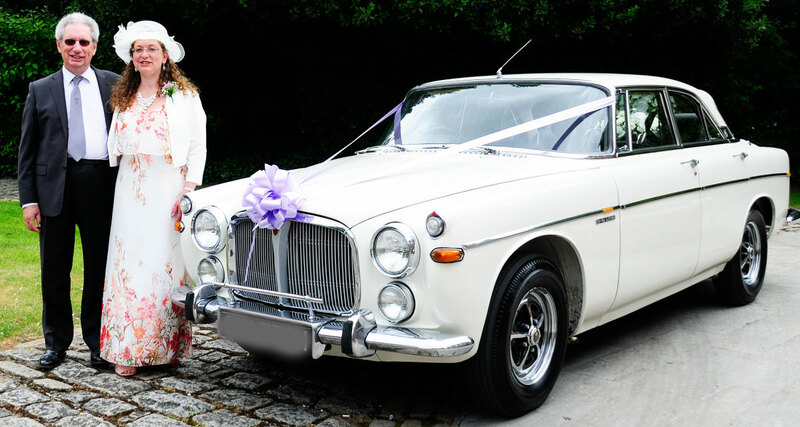 Wedding Cars Hampshire, covering Hampshire, West Sussex and Surrey, we offer more than just a car and a driver. 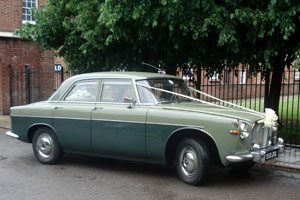 We offer advice in planning transport for your very special day. The name Rover is synonymous with traditional British luxury cars whose unrivalled engineering refinement, comfort and reliability enabled Rover to add a certain presence to important occasions. Rovers were often referred to as the poor man’s Rolls Royce and they were typically appreciated by bank managers, doctors and solicitors. This car has won many awards nationally and locally and has appeared at the National Motor Museum, Beaulieu, classic car magazines such as Classic and Sports Car magazine and featured in the TV drama Call the Midwife series 6 episode 1. A classic green with stunning cream interior. This stunning Rover is white with ebony upholstery. Being a coupé it appears lower and sleeker than the saloon giving you that classic sporty feel. You cannot fail to look special in this car. Thank you for sending the photos through! We had a fabulous day! It was brilliant having you take us to the venue. It’s such a beautiful car! Thank you for your help too and for waiting until we’d taken some additional photos. Thank you so much for making our special day extra special with your lovely car and superb driving.